Hi Hmart, can you please consider to open one near Livingston area. There's tons of Asian at nearby town like East Hanover, Parsippany, Short Hill. There's a Toysrus closed down and that location is perfect!!! Can you please consider and we desperately need one! Thanks. Hello H Mart, Can I apply for a Smart Card Membership online? 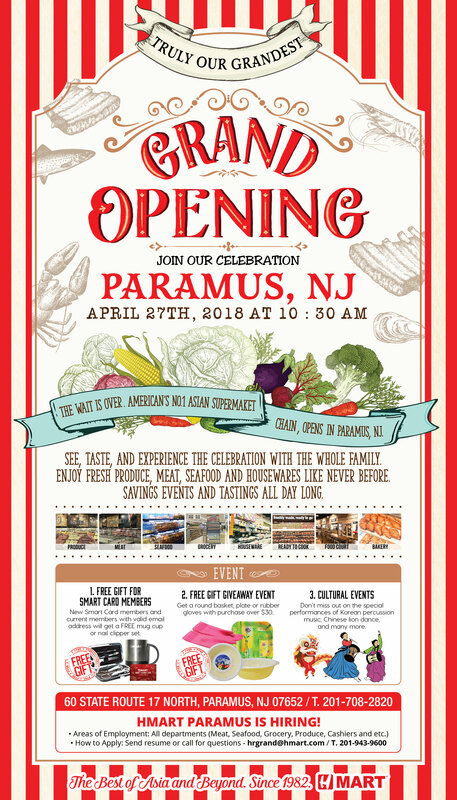 Is your new location in Paramus, NJ near the Westfield Garden State Plaza Mall? Thank you so much. I am looking forward to visiting your new store. Blessings. Hi Liz, You can sign up for smart card at our paramus location. It is near the Garden Plaza mall. Thank you!